Gandhi believed the best way to help yourself is to lose yourself in the service of others. But when faced with your own pain, the needs of others might be among the last things on your mind. After all, you have to take care of yourself before you can be of any use to others, right? Well, not exactly. Research shows that taking care of others, like going on a volunteer vacation where you can serve the homeless or assist in an orphanage, can actually be a way to care for yourself. Cami Walker of Kimball, Nebraska is a case in point. The New York Times best-selling author had been battling chronic pain for 15 years when she was finally diagnosed with multiple sclerosis. Barely able to walk, taking opiates every day to manage her pain, and a frequent in-patient at the hospital for pain control and migraines, Walker initially thought it was ridiculous when her holistic health educator suggested giving to others be part of her treatment. “It wasn’t something I had ever heard of or considered,” recalls Walker, 39. Yet two months later she tried it by calling a friend she knew needed support. “After 14 days of giving in a different way every day including phoning a friend who needed someone to talk to and giving spare change to a homeless person I was walking again and my pain was dramatically reduced,” Walker says. The phenomenon Walker experienced is what’s been called helper’s high. After analyzing surveys of thousands of volunteers across the country by Better Homes and Gardens magazine and the Institute for the Advancement of Health, researcher Allan Luks, a visiting professor at Fordham University’s Graduate School of Social Service and author of The Healing Power of Doing Good (iUniverse), found that people who regularly help others report better health. 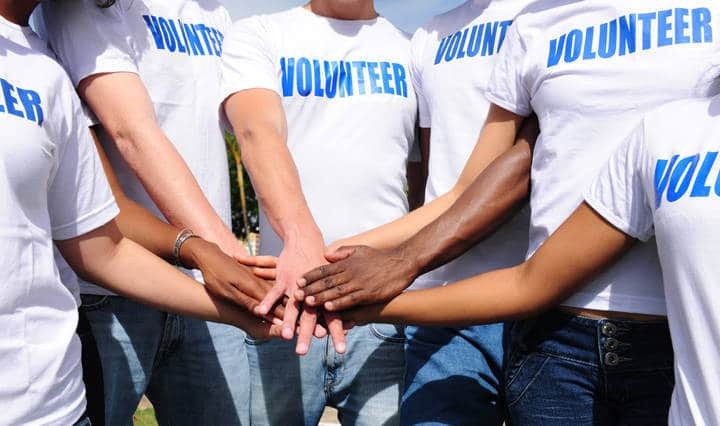 You can, of course, reap the benefits of volunteering at a nearby hospital, school or organization. Or you could decide to make a vacation out of it: The Travel Industry Association of America estimates that 55 million Americans have traveled as voluntourists. Started by a Big Easy resident left homeless by Hurricane Katrina, Common Ground Relief relies on volunteers to tackle everything from wetlands restoration to helping Lower 9th Ward families start gardens. Help feed and care for dogs, cats, parrots, horses, waterfowl and, yes, even pot-bellied pigs at the country’s largest no-kill animal sanctuary. Best Friends takes in animals that have run out of time with rescue groups and at shelters around the country. Nearly 50 percent of American Indian families live below the poverty line. Amizade brings volunteers to the Navajo Nation, the largest reservation in the U.S., stretching over Arizona, New Mexico, Utah and Colorado, to learn about Navajo life and culture and work on a community-led service project, including tutoring at the Tuba City Boarding School. Not up for a plane ride? Take a volunteer staycation. Log on to NationalServe.gov, a clearinghouse for volunteer opportunities across the country, and search for what you’d like to do and where you’d like to do it. The site will shoot back a list of groups in both the public and private sectors that are in need of your help. Dina Mishev's work has appeared in Sierra, AFAR, Sunset, Entrepreneur, Sunset.com, Mountain magazine, AAA Via, The Washington Post and Inspirato among other publications. She is the Jackson Hole expert for Travel + Leisure. Her book Best Easy Day Hikes in Jackson Hole was published in spring 2017 and her book Road Trip Yellowstone: Adventures Just Outside America's Favorite Park was published in April 2018.